Very excited to be able to perform all these songs tonight with the talented folk who have contributed to the sound and shape of the album ~ Shane O’Mara, Kiernan Box, Ben Wiesner, Rosie Westbrook, BROADS and Rebecca Barnard ~ all join me ~ come one, come all. As well as the album we’ll have a new range of tea towels for sale. Using the inside sleeve painting by the wonderful Madeleine Stamer, Sparrow & Swan 100% cotton ~ they really are quite lovely. 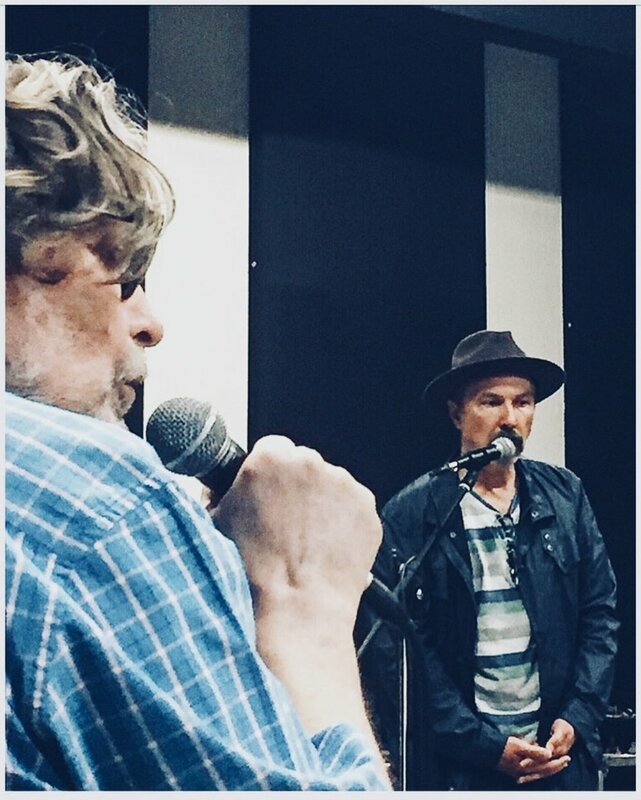 Shane and I dropped into Radio National yesterday for an early morning performance of “That Whole Summer Long” ~ you can hear it here about 2:10 into the show. ps. Due to circumstances beyond my control the Adelaide shows at THE WHEATSHEAF have merged into one ~ 5pm [2pm has been axed]. This week has been filled with radio commitments and rehearsals. The band is sounding mighty fine to my ears, just keeps getting better and better. Spoilt. Not many people would know this but I sang at the opening of the ABC building at Southbank, there on the rooftop in the presence of the then Prime Minister ~ Paul Keating ~ 1994. Nice to be reminded of this as I wandered into the ABC where I had a chat with Henry Wagons on Double J ~ for Tower of Song. Great also to chat with Brian Wise on 3RRR last Saturday morning for his long-standing show Off The Record. M E L B O U R N E ~ The album launch 🚀 is merely days away and there’s still plenty of tickets left at The Caravan Music Club this F R I D A Y ~ come one, come all ... try to be early [830pm] to see the BROADS. We’re on at 930pm [full band] ~ see you there. A D E L A I D E ~ hope you’re all coming along to The Wheatsheaf where I’m in duelling mode with guitarist Shane O’Mara ~ Shane has been the right hand man to many great singer-songwriters including Paul Kelly, Chris Wilson, Stephen Cummings and with his own band Rebecca’s Empire ~ would be great to see some familiar faces at The Wheaty. Here’s a snippet from rehearsal ~ Equine Dreaming [outro] with BROADS. Pleased to unveil just some of the ensemble involved in the recording of SPARROW & SWAN and who will also be joining me along with super gal duo BROADS and Rebecca Barnard for the album launch at The Caravan Music Club. Here we have ~ Ben Wiesner : drums, Rosie Westbrook : double bass, Shane O’Mara : guitars, yours truly and Kiernan Box : keyboards. Rehearsals have been sounding exceptional ~ if you don’t mind me saying. Thanks to all the children who starred ~ energy levels were cracking the richter scale, no limbs were broken and no-one was bitten by a snake or attacked by a wombat, thankfully. Album launch coming up all too soon at The Caravan, Friday April 5th ~ see you there with this stellar cast ... then onto Adelaide with guitar maestro Shane O’Mara for two special shows at The Wheatsheaf [early and not so late] Sunday April 14th. Just on a fanboy note ~ saddened by the news of the great Scott Walker passing away. If you’ve never heard Scott 1-4 and love lush orchestrations, visceral and visual lyrics sung beyond beautifully, he may be someone you’d like to tune into. Here’s one of my favourites ~ ROSEMARY. Tick-tock... the album launch is only three weeks away ~ so get in real quick for a table seat at the new Caravan Music Club. I’ll be joined by the magnificent players on the record ~ Shane O’Mara [guitars] Kiernan Box [piano | organ] Rosie Westbrook [double bass] Ben Wiesner [drums] and the glorious vocals of Kelly Day and Jane Hendry aka BROADS, singing back-up, with Jane adding a touch of violin. We’ll be concentrating on the new album but also delving into some of my favourite songs from my back catalogue ~ Wounded Bird, Low Fidelity and There Is Nothing Here That Belongs To You. It’s Adelaide’s turn next with two shows at The Wheatsheaf [early and not so late] on Sunday April 14. 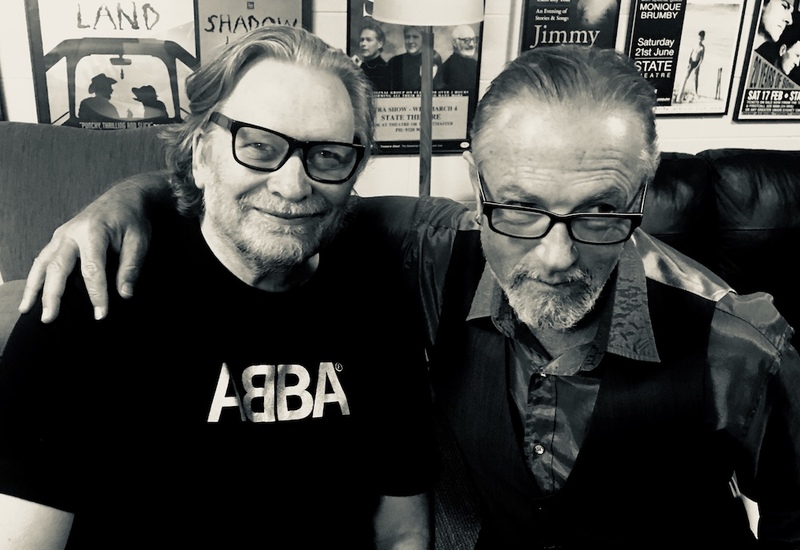 Shane O’Mara will be on the road with me for the remainder of the tour ~ he’s the producer of the album and took great care in shaping the sound of the record, not only that but he’s a maestro guitarist ... incredible. Thanks again to all those who pre-ordered SPARROW & SWAN. It should be in your local, beloved record shop by now but you can still purchase online here for a signed copy from me. The album is also available to order via Bandcamp and iTunes. Here’s a little bit about Track 3 ‘Robert Mitchum at Mitcham Station’ ~ a train trip [over the course of decades] pays homage to forgotten Hollywood star Robert Mitchum ~ if not for one little vowel. The song deals with the intimacy of the train carriage’s enclosed space, blasé and apathetic behaviours ~ conversations overheard, drug dealings, romantic notions, and our obsession with popular culture. Things we do and sometimes dream up to try to escape the general ennui we experience in our day to day existence. Amazing, Sparrow & Swan is earlier than expected. 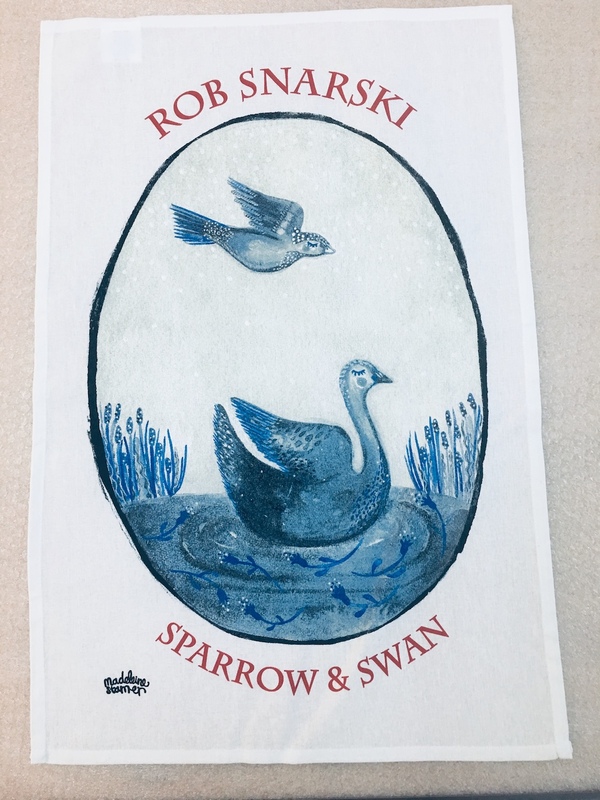 It’s here ~ Sparrow & Swan have landed [I know, terrible ...obvious pun]. Excuse my excitement. The anxious, arduous wait is over and I can send out all the pre-orders to the kind folk who have purchased the CD - so expect a delivery in the next few days, and for those overseas, I’m guessing a week. It’s the one time I don’t mind waiting in the queue at Australia Post. Yippee-i-O. This recording has exceeded all my expectations ~ mainly through the generous time given to the project by the immensely talented folk involved in its conception. Big, big, BIG thanks to Shane O’Mara, Ben Wiesner, Kiernan Box, Ben Franz, Rosie Westbrook, BROADS [Kelly & Jane] and the wondrous Rebecca Barnard ~ the majority of whom will be performing these songs with me at The Caravan Music Club [Melbourne] for the southside album launch on Friday April 5 with special guests ~ BROADS. Be quick to get a table seat, lickety split, tickets available here. Shane O’Mara will also take off with me around the country to play you these tunes at some of my favourite venues in some of my favourite cities. Can hardly wait. Hopefully see you there. Hope you all like the tunes. Bye for now ~ I’m off to the post office. SPARROW & SWAN sees a gravitational pull towards the narrative, a change in direction and a newfound song writing process. Conversations turn into song, late night tales become the tunes ~ there are stories here from Brisbane cab drivers, girls from Belfast ‘74 in search of Van Morrison, football players and their protégés, relationships sparked in TABs, sightings of Robert Mitchum at Mitcham Station, a sailor in search of Helsinki ...and the weather ~ there’s always the weather, the extremities ~ the sun burning a hole in the sky or snow falling upon ancient ice ...and birds ~ what’s with the birds? A delightful cast of musicians contributed to the recording of the album ~ including the vocal talents of songstress and singer extraordinaire Rebecca Barnard, along with the wonderkinds ~ Jane and Kelly aka Broads, the nimble fingers of Kiernan Box on piano, organ and accordion, along with both Ben Franz and Rosie Westbrook on double bass, and king tub thumper Ben Wiesner on drums and percussion. Add to this Shane O’Mara’s distinctive, intricate guitar work and production and the musical palette lies somewhere between Havana and Helsinki ~ think a cuban cigar with a liquorice ice cream. Pre-orders for the album SPARROW & SWAN are available here through our Big Cartel shop if you’re keen to be first off the blocks ~ we promise to post them out as soon as the CDs arrive from our dear friends at DEX. Always a joy to work with Madeleine Stamer who has provided us with a beautiful artwork for the lyric book of the album. Very excited to announce the completion of the new album SPARROW & SWAN due for release mid-March. With the first single ALL GOD’S CREATURES available here for your listening pleasure. It features exquisite guitar work from Shane O’Mara, beautiful harmonies from gal duo BROADS and a Havana~style piano solo from the wandering hands of Kiernan Box. 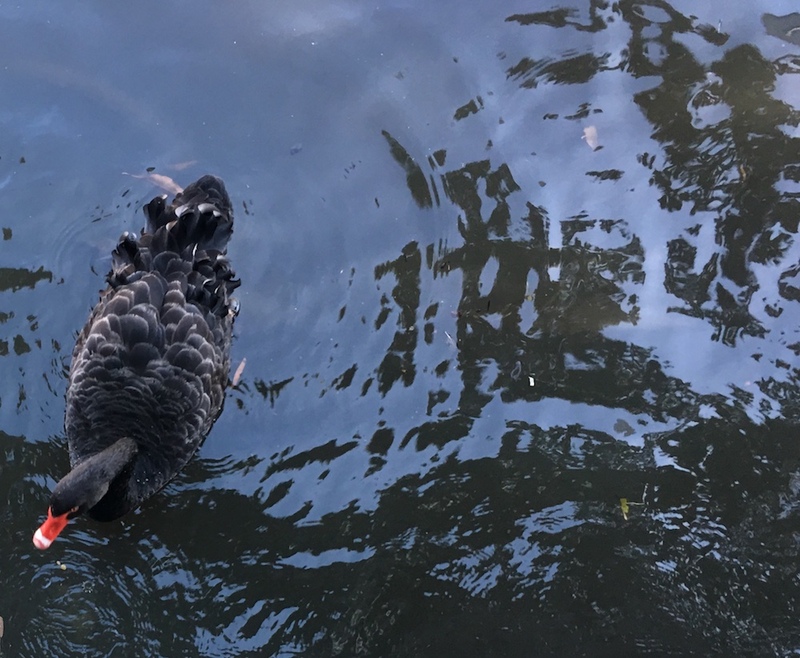 ALL GOD’S CREATURES takes a wander through a dramatic Australian summer day where “the heat shakes the air and the rain vows to kiss the ground”. We're bringing the band to the Caravan Music Club for the launch of SPARROW & SWAN on Friday April 5 with special guests ~ BROADS. Tickets on sale now. It was such an honour to be part of the stellar line-up for 16 Lovers Lane. If I were to be honest, I’d tell you I almost choked during the spoken word part of Cattle and Cane ~ those of you who’ve read my book might recall how important that song is to me. Lindy, Amanda and John - so important to have had the chance to revisit these glorious songs. Thank you for inviting me. My first show at The Standard Hotel in Fitzroy felt incredibly strange ~ almost like I’d never walked through those doors before. Just a reminder that “16 Lovers Lane” ~ The Go-Betweens classic album is part of the Melbourne International Arts Festival this coming Saturday. 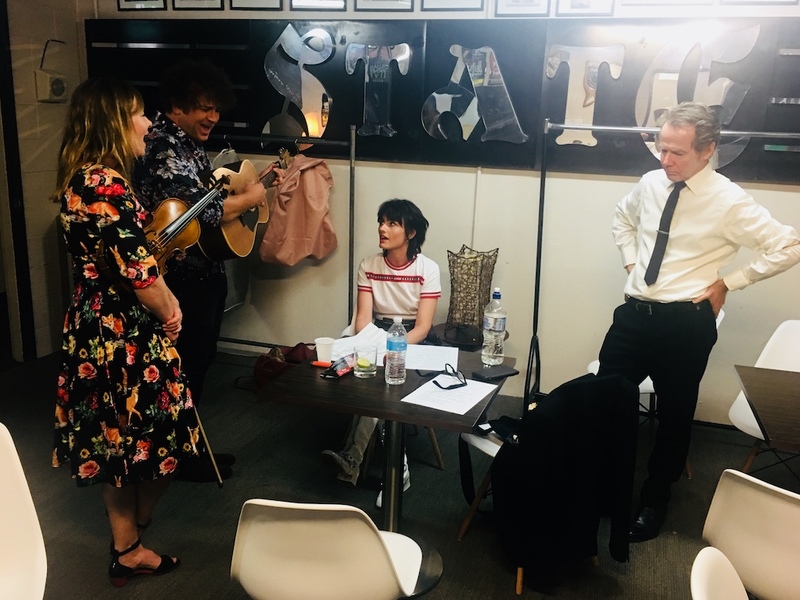 Lindy, Amanda and John revisit the last album they made together with Robert Forster and Grant McLennan before they parted ways. Special guest singers include myself, Paul Kelly, Dave Graney, Jen Cloher, Laura Jean, Alex Gow (Oh Mercy) Dan Kelly & Romy Vager (RVG)... all taking place at The Arts Centre Saturday in the heart of Melbourne. I’m returning to one of my old haunts this Sunday. When I wasn’t just another bar fly I poured beers at The Standard Hotel (293 Fitzroy Street, Fitzroy) and sang occasionally on their stage. Sunday, I’m starting a three week residency - performing two sets from 5-7pm. These three Sundays - Oct 7, 14 & 28 ~ I’ll be away in Adelaide at The Wheatsheaf on the 21st (in case you were wondering). B R I S B A N E ~ don’t forget there’s been a second show added at The Junk Bar - a late show with a 930-ish start time. It’s a lovely intimate space - come along. Grand Final Eve looms large in Melbourne and I look forward to sharing a few tunes and tales at the Merri Creek Tavern in Westgarth this Friday. I’m contemplating wearing a football guernsey ... then again, maybe not. Thanks to all who’ve bought tickets to The Junk Bar in Brisbane ~ we’ve added a second show now ~ Ashgrove, the closest I’ll get to Twin Peaks. 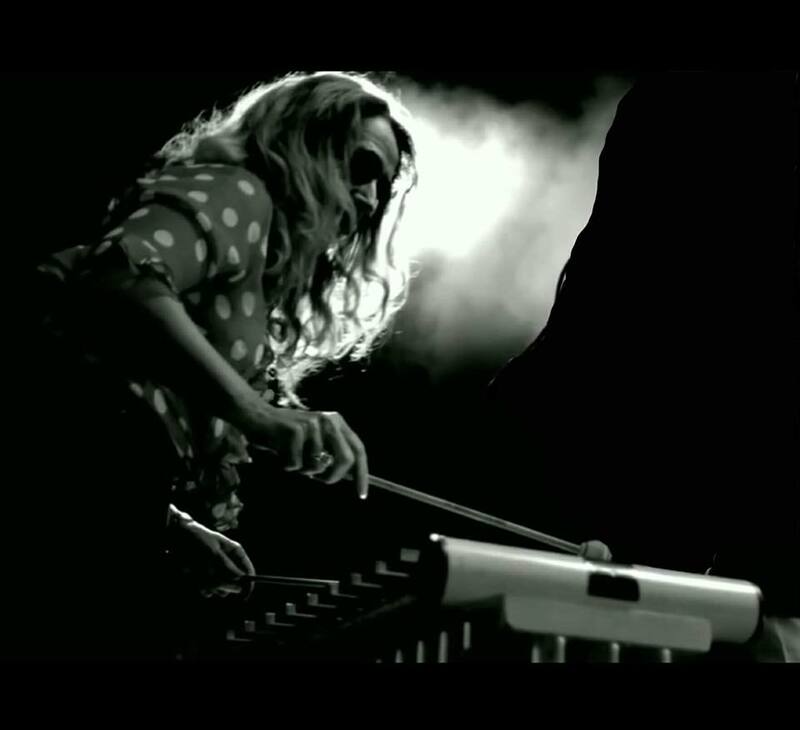 The video for The Blackeyed Susans “A Curse On You” has been doing the rounds, here’s a still. This is what I looked like with a head full of hair. Shows are popping up like daffodils across the land - great to be able to share my new tunes last month at a sold out show at The Winnebago Lounge with Shane O’Mara - thanks to all who came along. My first < s o l o > show for spring starts at Mick Thomas’ new bar in Westgarth, that little southern pocket of Northcote on Grand Final Eve. Yes, the Friday holiday we’re indulged with in Melbourne. I’ll be playing two sets, including a lot of the newly penned tunes, interspersed with the old and familiar, reading from the BOOK as well. Promise I’ll sing a thinly disguised song relating to football. Members of The Go-Betweens have put together a stellar cast of singers to perform the songs from “16 Lovers Lane” as part of the Melbourne International Arts Festival ~ Paul Kelly, Jen Cloher, Alex Gow, Laura Jean, Romy Vager, Dave Graney, Clare Moore and myself all have the honour of revisiting the past and singing the much loved songs of Robert and Grant on that vast stage of the Arts Centre Melbourne. Perth solo shows have been added to the calendar. Playing The Bassendean Hotel on Friday Nov 9 with special guest Catherine Traicos. Also heading to the Fremantle Arts Centre on Sunday for the afternoon session. There may even be a slot left for an acoustic house concert on Saturday Nov 10 - if anyone is keen to have me grace their living room let Andrew at RSHQ know. 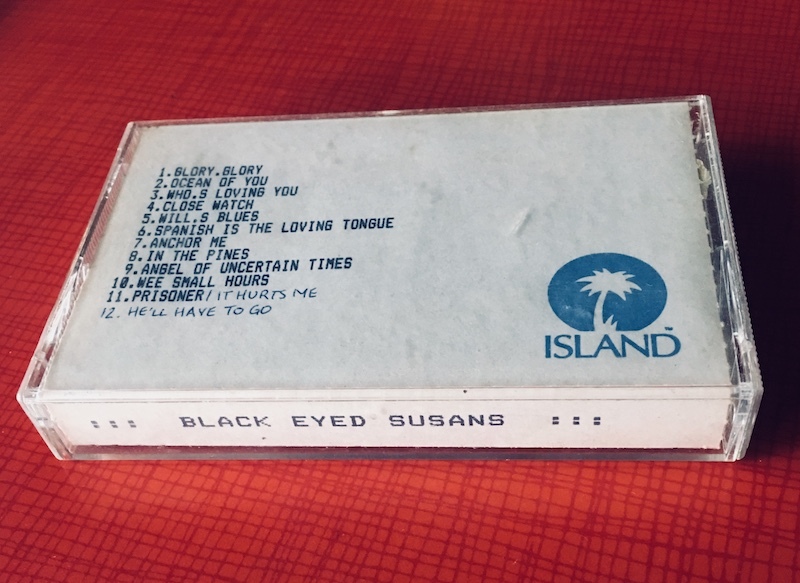 My brother Mark was in town briefly (he lives in Madrid these days), encouraged to sort through the rubble of his belongings he came across this tape. I know I have one somewhere. It’s a recording made with David McComb, Kenny Davis Junior and myself in 1990 at Island Studios, Chiswick UK. David encouraged me to sing ... to sing the song. It’s been a quiet, cold winter out there. In my world however quiet ... and not so quiet. I’ve been piecing together the songs that will become the next solo album. In fact recording has only just begun with maestro, Shane O’Mara at the helm. Here’s the majestic drum kit sans drummer, I never did get a good shot of tub thumper Ben Wiesner. Thanks Ben. Shows are springing up across the country, which gives me the opportunity to play these new tunes, read from the B O O K and revisit the familiar. Also Acoustic House Concerts are back on!!!! Since I haven’t booked my flights quite yet, have a look to see if there’s a date that suits your town either side of my shows (below) and we’ll take it from there. The Melbourne Writers Festival 2018 has invited me to chat with Romy Vager (RVG) in a series at ACMI. We’ll be there Sunday September 2 at 2:30pm. Also I found this old clipping in a cardboard box. 1992, shot at The Standard Hotel, Fitzroy with our first Melbourne line-up. I don’t recognise myself. Hoping you can all be there to see and hear the stunning string arrangements our piano player Kiernan Box has worked on over the preceding months for this Friday’s show at The Melbourne Recital Centre. It truly is something to behold. Colour, drama, beauty, lushness and grandeur. There will be 14 of us on stage ~ Jack Howard (Hunters & Collectors) joins us on trumpet and the uber-talented Clare Moore (Dave Graney and the Mistly) on vibraphone, along with our six piece string section. Come one, come all ... step right up. Special guests ~ instrumental leviathans ~ The Hungry Ghosts. A snippet from the strings rehearsal in preparation for Susans + Strings at Melbourne Recital Centre, April 2018. It’s been quite a while since I’ve performed in solo mode, a tad anxious I must admit. Wondering just how the new and old and not-so-old songs will be received. The last time I performed in Wollongong may well have been with The Blackeyed Susans and The Dirty Three. I remember Warren being quite playful saying something along the lines of “Good evening Newcastle! !” before launching into some sonic violin swell. Anyway, let’s see if the weather holds up, if the baby sitters are organised and the stars align ...hopefully I’ll be seeing you. Well it looks like Django Bar is selling well enough to move the show into the bigger room upstairs at The Camelot Lounge, more seating and comfort I’m guessing. Hope that’s alright for everyone. Purchased tickets are valid and booking is still the same. Ticket info here. In the meantime I was approached by a chap in Wollongong who’s decided to host an intimate gathering on Sunday March 18 (early afternoon) in his backyard with a little PA.
Open to anyone friends. If you’re interested the information is here. New songs are taking shape and the temperature in Melbourne is a mild 20 degrees. 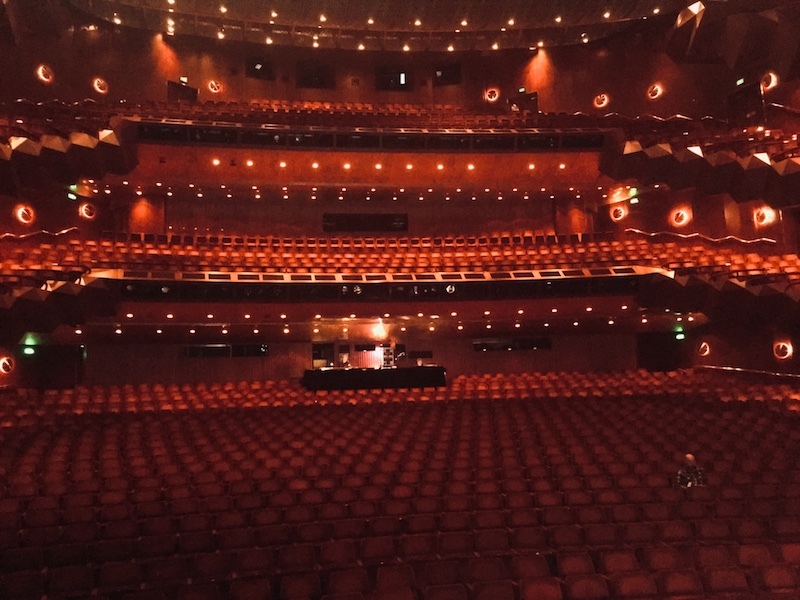 To have sung with The Triffids over the years and now more recently with The Go-Betweens at Sydney’s State Theatre I feel like the mountains to climb are somehow fewer. Or have I simply missed some. Where should I be looking ..? It was such an honour to have been asked by Lindy, John and Amanda to sing Quiet Heart from 16 Lovers Lane, to duet with Romy Vager and to warble with Dave Mason this last week. Where to now one wonders..? I’ve attached some pics from behind the scenes. Here’s a review of the concert also if you’re interested ... another review here. I’m heading back to S Y D N E Y to perform in solo mode at The Django Bar @ Camelot Lounge, Marrickville on Saturday March 17. It’s an intimate space and I’m singing songs from the past, present and future ... yes that’s right, some new tunes. I’m hoping to share a few chapters from my B O O K of vignettes. 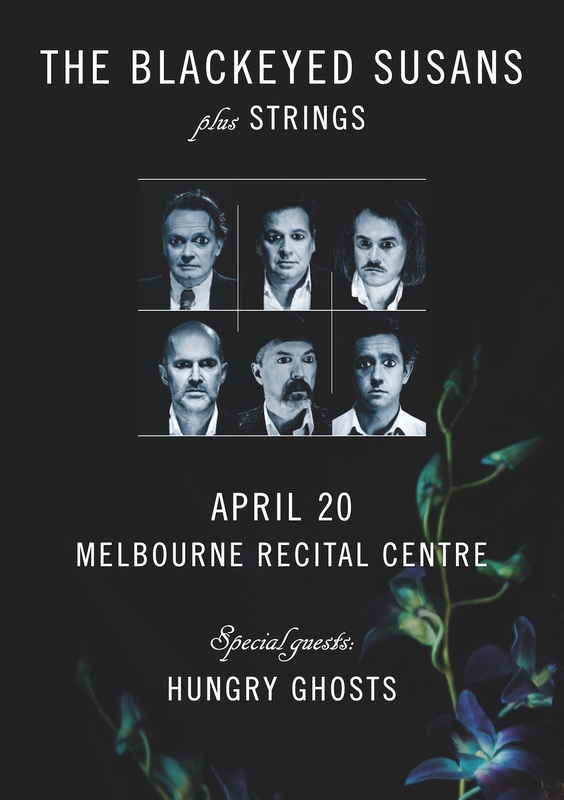 Also a reminder The Blackeyed Susans perform at Melbourne’s Recital Centre with a string section on April 20, expanded by the addition of Clare Moore on vibes and Jack Howard (Hunters & Collectors / Midnight Oil) on trumpet. It’s promising to be beautiful and lush. Tickets here. 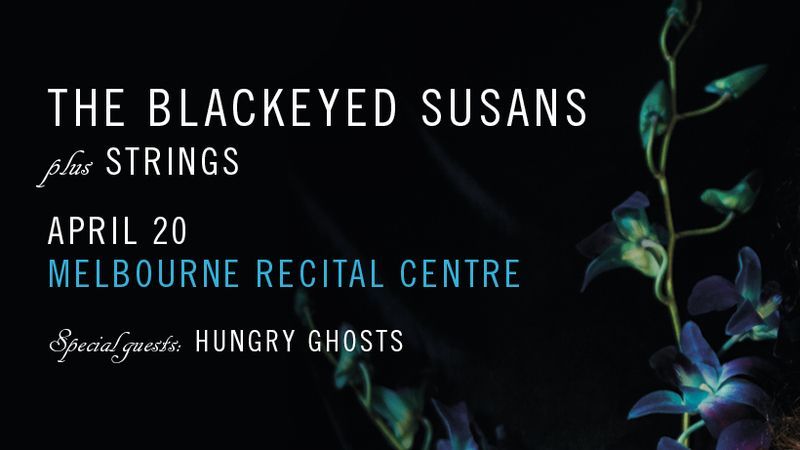 We’re delighted to announce that THE BLACKEYED SUSANS are playing the MELBOURNE RECITAL CENTRE on FRIDAY, APRIL 20th! How classy and grown-up! And befitting such an occasion, we’re expanding the line-up with a STRING SECTION, plus CLARE MOORE (vibes) and JACK HOWARD (trumpet) will be joining us for the evening. It’s going to be LUSH! What’s more, J.P. SHILO'S sublime instrumental group HUNGRY GHOSTS will be kicking off proceedings with a rare opening set. This is it, folks; The stars have aligned. Your favourite MOODY ROMANTICS playing the best room in Melbourne with STRINGS and a raft of very SPECIAL GUESTS. Reasonably priced too. 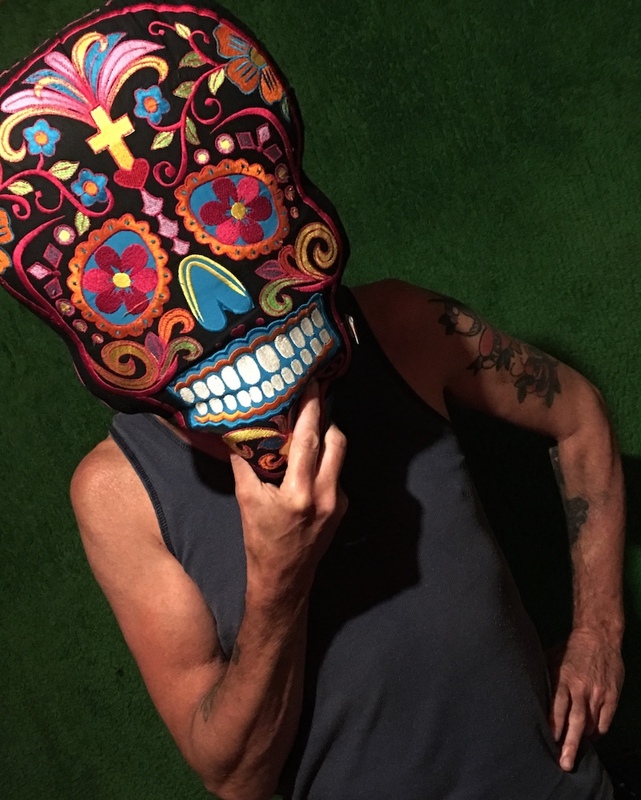 This week I’ll be in Sydney singing songs from 16 Lovers Lane at The State Theatre with members of The Go-Betweens and a stellar array of singers ranging from Dave Mason, Peter Milton-Walsh, Romy Vager, Steve Kilbey and more. 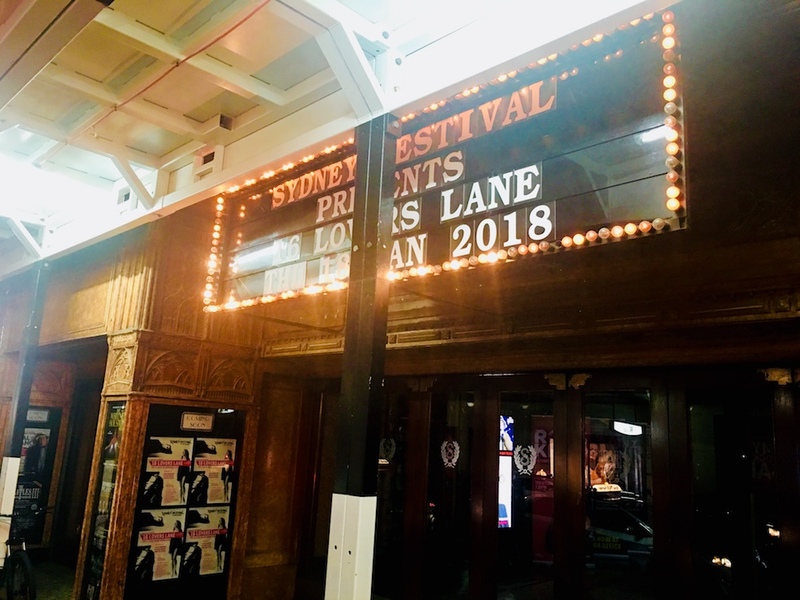 All part of The Sydney Festival, celebrating a classic Australian album. Here’s a little snippet from an ancient scrapbook I’ve got tucked away ... nearly thirty five years later. Who would have thought? 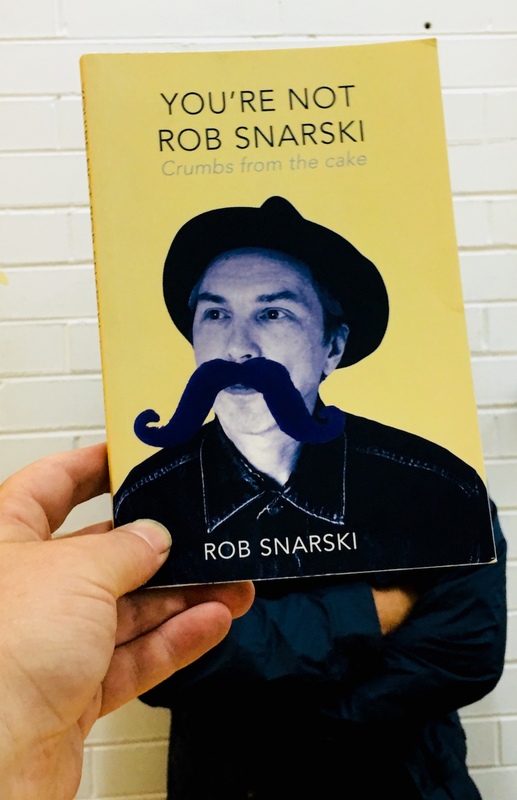 I’ll be returning to Sydney for an intimate show at the Django Bar in Marrickville, Saturday March 17 - playing songs from past and present, reading chapters from “Crumbs From The Cake” and taking a request or two ... if there’s anything you’d like to hear, best let me know soon and maybe jot that date down in your diary.